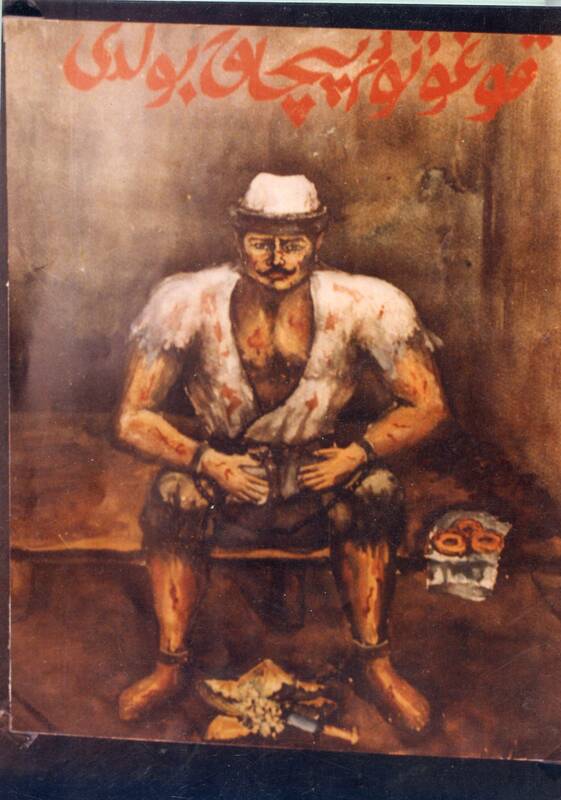 Sadur, who fought the Qing invaders, sitting in his cell, eating what appears to be a very reasonable lunch. Here are the main reviews of The Tree That Bleeds so far- I’d like to express my gratitude to all the reviewers for their careful, thoughtful responses to the book (i.e. thank you for not giving it a mauling). Thanks also to Scott Pack at Me And My Big Mouth for featuring it in his Quick Flicks section. I don’t know if its gauche or amateurish to reply to some of the points they raise, but there are a few caveats- firstly, the SRB review was a pre-publication review, and some of its criticisms thus refer to an earlier version of the book (e.g. that it has no index, when the published version does- it’s first entry is ‘Awkward Sexual Moments’ (3 entries)). Secondly, that I corresponded with Josh Summers at Far West China, as he makes clear in his review. He quotes me accurately as saying that there were times when my anger gets away from me, but it might help to have the context in which I said that. Your disdain for missionaries is readily apparent and I believe you did a wonderful job exploring the ignorant and uninformed hatred by both the Han and Uyghur. Were you hoping your reader would be able to make the connection between these two similar forms of bigotry or did you actually desire to paint such a picture of your expat co-workers? A tricky one. I hope I give a slightly more favourable portrait of Gabe than the others- but even now I still think there’s something unethical about a teacher using his position and access to push his ideas on students. I do think there are missionaries who do genuinely good work, but in the main I still have a problem with them being there (and not as teachers or health workers, but purely to proselytise). I think their actions endangered others. They certainly contributed to the atmosphere of paranoia and distrust (which I definitely succumbed to). Had it not been for them, it might have been easier to make more Han friends within the college. But I can’t deny that there are moments in the book when my anger gets away from me. Believe it or not, I did tone some of this down, but in the end I left a lot of it, perhaps unwisely. I was trying to keep hindsight out of the book as much as possible, and this is one of the consequences. As is often the case with books like mine, the personal life of the narrator sometimes obscures the more interesting material. It occurs to me now that maybe some of this anger is due to the fact that of all the groups of people I tried to get to know, the missionaries were the most resistant- of all of them, only Gabe would talk about it. I don’t blame them for this, but it meant that I had little to go on in terms of understanding them and their motivatons. In some ways, I might have been better to just leave them out of the narrative. 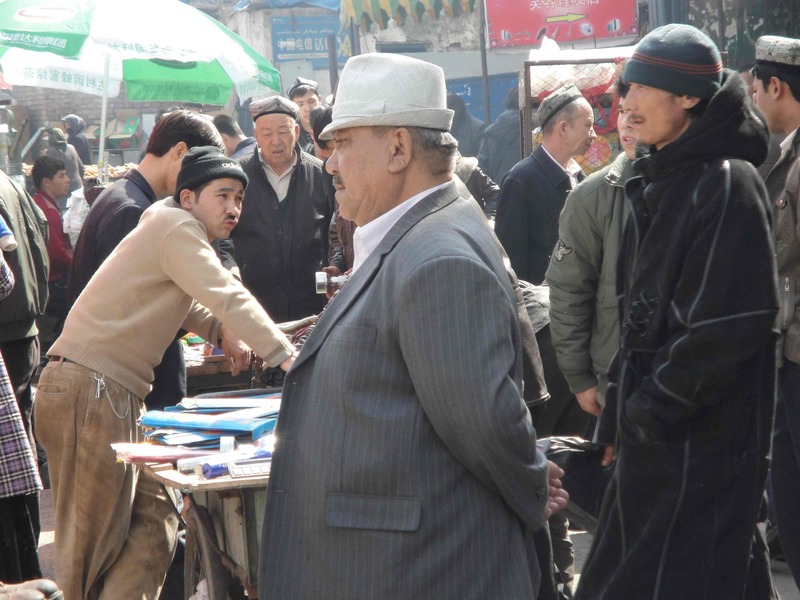 They aren’t really a significant part of what’s happening in Xinjiang, but they were a big part of my college world, and that’s why they loom fairly large. I’ll be at Waterstones, 128 Princes St, Edinburgh, between 6-8pm on Thursday September 29th. I will be talking about my travel/politics book ‘The Tree That Bleeds’, out now from Luath Press.